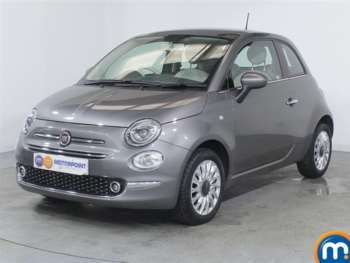 The largest Italian car manufacturer in the world, Fiat, is respected and renowned for its quick and quirky supply of small and affordable cars. Fiat focuses their attention on creating little cars that are easy to drive and are inexpensive, which appeals to a wide range of customers. The extensive range of small, predominantly front-wheel drive hatches are popular for first-time buyers as well as those looking for something cheap that’ll do its job well. Here at RAC Cars, you can get fantastic deals of used Fiats and your pick of the fan-favourite models, thanks to our vast collection. The cute and charming little Fiat 500 revived Fiat’s fortunes in the city car sector and has become one of most recognisable and popular cars on our roads. You can make great savings by buying one of our used Fiats for sale in your area. The launch of the all-new Fiat Panda in 2012 will serve as an outgoing model, as it’s makeover makes it more aesthetically pleasing. For something larger, you may want to check out the Fiat Doblo or the Fiat Qubo. If none of those tickle your fancy, other popular models include the Fiat Punto and the Fiat Bravo. Across Europe people cannot get enough of these cheeky, charming little runners that stand out amongst other affordable small cars. Fiat was founded in 1899 which makes it one of the oldest car manufacturers ever! If you’re looking for a used Fiat, it may be useful to know that in 2016, the Fiat 500 was crowned the “Used Car of the Year” in the Car Dealer Used Awards. In 2017, the model also received silver for the “Best Premium Supermini” in the Express Driver Power survey. Got a specific Fiat model in mind?